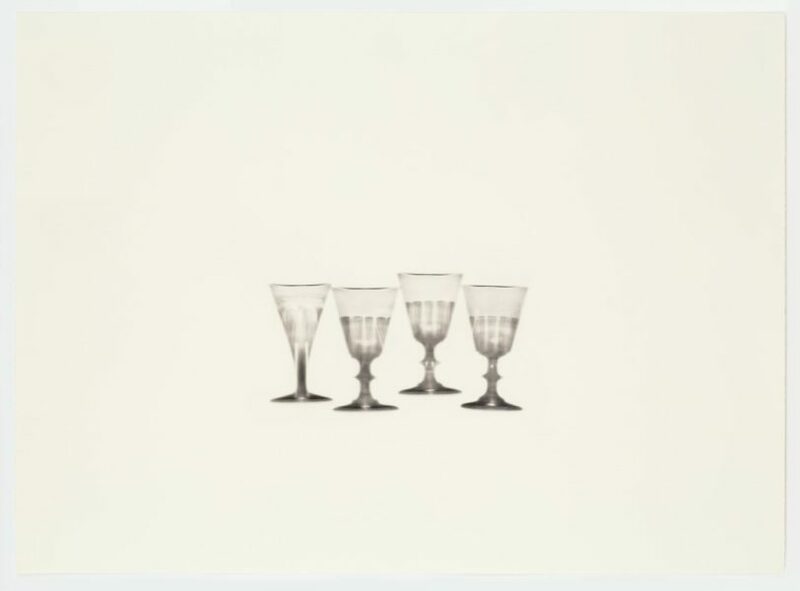 A set of nine polymer prints by Cornelia Parker have been donated to Cartwright Hall in Bradford to add to their marvellous print collection, which goes back over a hundred years. 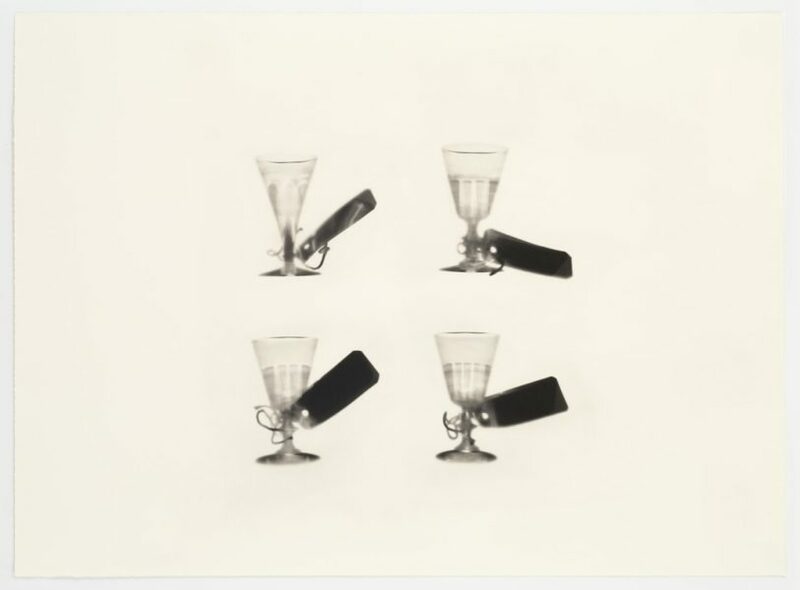 This is the first time that Cornelia Parker’s work to appear in this collection, bringing with it a new technique in the development of printmaking. 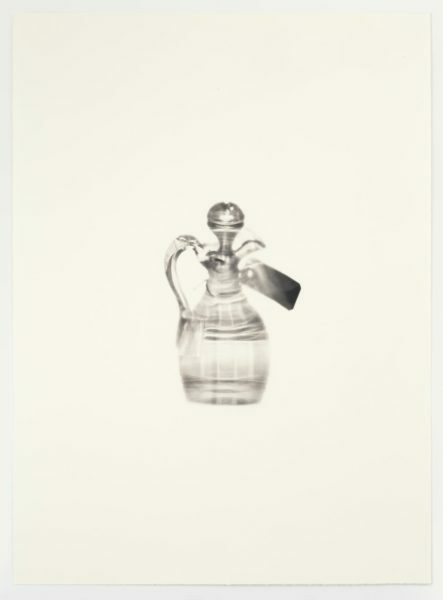 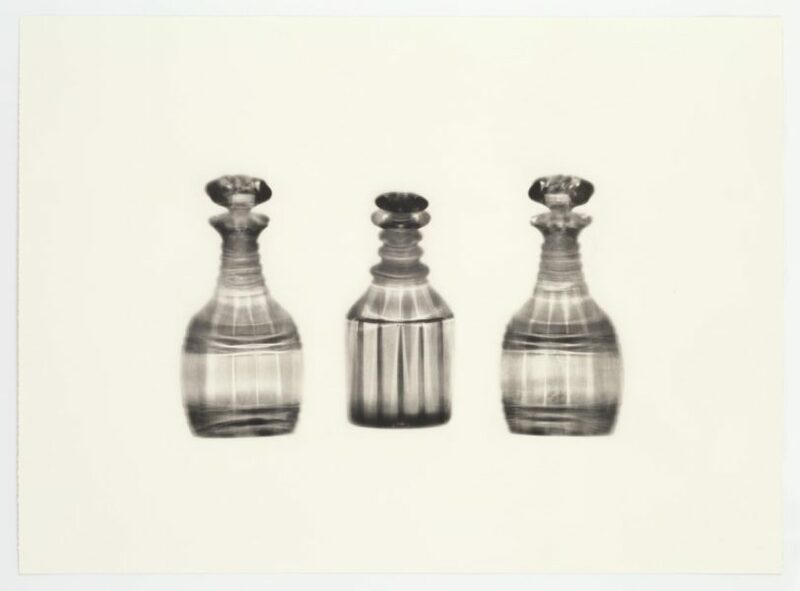 Fox Talbot’s Articles of Glass, 2017, a series of photogravure etchings on paper, arose from Parker’s investigations into photogravure, a photomechanical process that produces an image through the exposure of a photographic positive onto a copper printing plate. 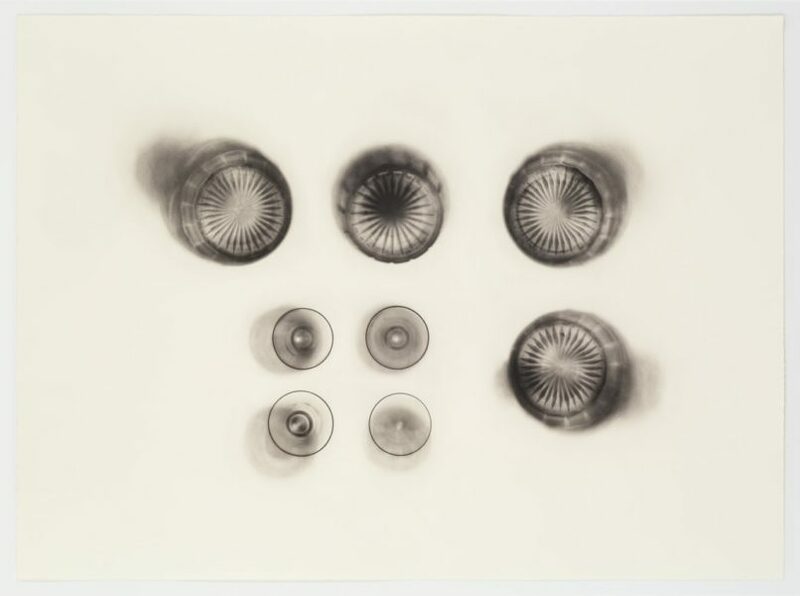 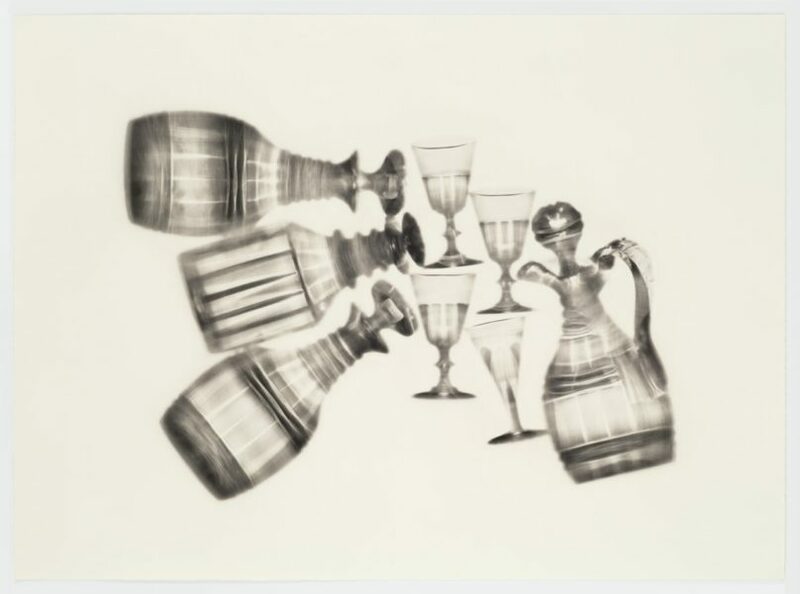 Inspired by the nineteenth-century photographic pioneer William Henry Fox Talbot, Parker combined two of his early techniques – solar prints and photogravure – creating a new hybrid form of print by exposing three-dimensional objects to ultraviolet light. 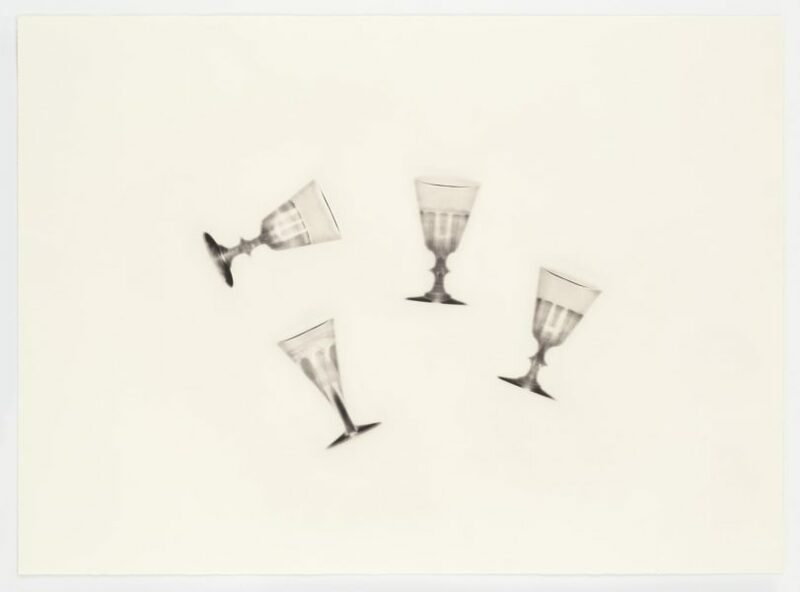 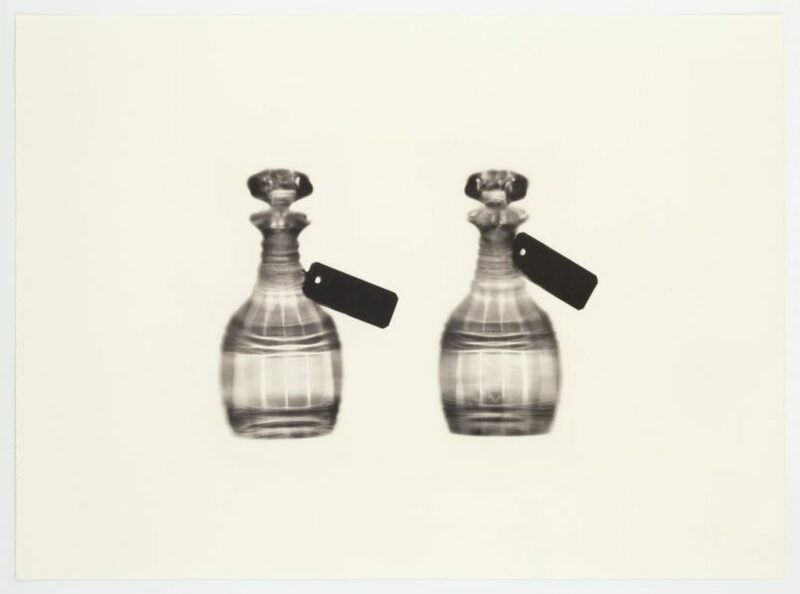 In these works, she uses the last remaining items of glassware belonging to Fox Talbot, which he famously used in his early photograph, Articles of Glass (c. 1844), and are now housed in Oxford’s Bodleian Library. 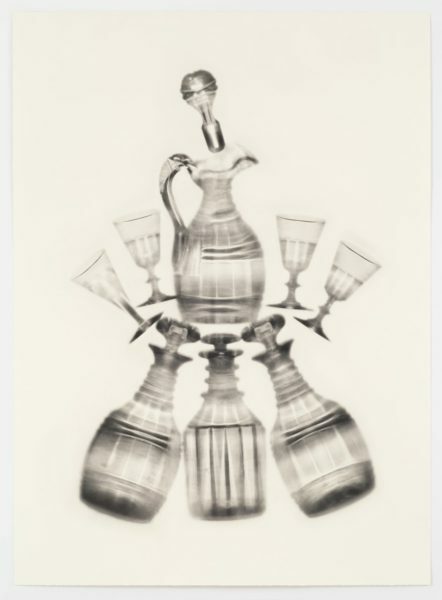 The playful way Parker has positioned the decanters, partnered with their dryly descriptive titles, breathes a new celebratory life into the light-strewn glass objects.